Rachel Lim is a senior in the Applied Psychology undergraduate program. She is a member of the Latino Family Engagement and Language Development (L-FELD) research team, where she has the opportunity to work with preschoolers from low-income families in New York City. 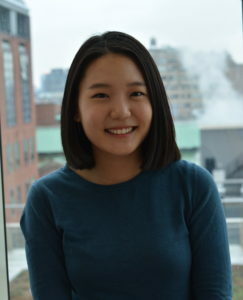 As part of her recent internship experience at the NYU Child Study Center, Rachel was involved in the development of research protocols for gaining normative and clinical data through internet-based research methods. At the Child Study Center, Rachel also served as a counselor in a group treatment program for children with selective mutism. Rachel’s research interests primarily lie in developmental psychology and education, and she hopes to someday be involved in the field of education in her home country, Malaysia. Currently, she is pursuing an Honors thesis on the role of teacher instructional support on children’s school readiness. Alexa Montemayor is a Senior in the Applied Psychology undergraduate program, with a minor in Sociology. Originally from Mexico City, Mexico she is currently working on Researching Inequity in Society Ecologically, led by Dr. Shabnam Javdani and Dr. Sukhmani Singh. On the R.I.S.E. team she is a member of the R.O.S.E.S. (Resilience, Opportunity, Safety, Education, Strength) data collection team, a community-based program that is being implemented and evaluated as part of a New York University study. The goal of the ROSES study is to learn more about the needs of girls who are at-risk for involvement or are involved in the juvenile justice system and to understand how the system can better work for them. Her devotion to the field of psychology has led her to recently accept a position as a Volunteer in the Department of Child and Adolescent Psychiatry at Bellevue where she will have direct interaction with the patients on the inpatient unit, partial hospitalization program, Children’s CPEP and Clinic. Khirad Siddiqui is a Senior in the Applied Psychology undergraduate program, with a minor in Art History. Her primary research interests are in discrimination, criminal justice, and prison reform. She began her research with the Fair Housing Justice Center on a project about housing discrimination, and then transitioned to a role on the NYU Publicolor/PaintClub team to research an intervention in schools around New York. She has been working as a Juvenile Justice Advocate with the R.O.S.E.S. research team for the past year, which has allowed her the privilege of working directly with girls who are involved in the juvenile justice system. Currently, she is pursuing an Honors thesis on the justifications that parents give for filing legal petitions against their children. She also serves as the President of the Applied Psychology Undergraduate Club and a Presidential Intern at NYU. 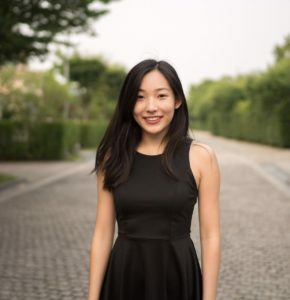 Sophia Wang is a sophomore majoring in Applied Psychology and Global Public Health with a minor in Web Programming and Applications. She is currently an orientation leader working with Steinhardt. She has also had opportunities to work with underprivileged children in education in New York. She is interested in public health policies improving equal access to mental health care in developing countries. Alyce Cho is a current senior in the Applied Psychology program with a minor in Sociology. Her primary area of interest is in child development and special education. She was a research intern at MDRC, a nonprofit, nonpartisan education and social policy research organization, assisting in the ExCEL P-3 study, focused on exploring approaches to sustain children’s early preschool gains. Currently, she is a research assistant at CRCDE to explore spatial skills of Korean and U.S. Children. She plans to pursue her interests in special education by furthering her education in special education law. Adina Schick is a Developmental Psychologist whose work to date has focused on cultural variations in children’s language, literacy, and narrative development, with a particular emphasis on the individual and combined contributions of the home and preschool contexts on these school readiness skills. Her research has probed the role of continuity in home-school book sharing practices in supporting low-income Latino Head Start children’s emergent literacy development and highlights the importance of promoting parents’ use of culturally-relevant practices. As a Post-Doctoral Research Fellow at NYU’s Child and Family Policy Center, she worked on the creation of a Common Metric to link the three most commonly used preschool assessment tools, and helped develop and supervise the implementation of a large intervention aimed at professional development of early childhood educators throughout New York City, as well as from across New York State. Dr. Schick’s work has been funded by The U.S. Department of Health and Human Services, Administration for Children and Families, The Brady Educational Foundation, and the Brooke Astor Foundation. She received her doctorate from the Department of Applied Psychology at New York University in 2012. View Dr. Schick’s full faculty profile.